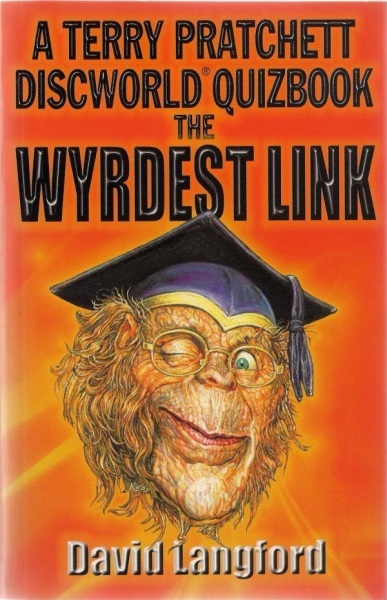 A follow-up to the highly successful DISCWORLD UNSEEN UNIVERSITY QUIZBOOK, THE WYRDEST LINK will present itself as qualifying tests for various levels of mastery in Ankh-Morpork City's Guilds and other organisations - from the dignified Thieves' Guild to illicit outfits like the feared Breccia (the trolls' Mafia) or the wholly reprehensive Elucidated Brethren of the Ebon Night (see GUARDS! GUARDS!). As before, the straight Discworld general knowledge inquisition - presented with offbeat twists and linking themes - will be varied with trick questions, outrageous bogglers, and the occasional near-impossible poser to suit all levels of Discworld fans.